Feminists Don't Wear Pink Live – Scarlett Curtis, Saoirse Ronan and Sinéad Burke discuss what the F word means to them in a one off special event. Oscar-nominated actress Saoirse Ronan and writer and activist Sinéad Burke will join Scarlett Curtis for a live podcast recording of the hit podcast. The event will also feature a stand-up set from feminist and comedian, Grace Campbell. Hosted by journalist, activist and writer Scarlett Curtis, Feminists Don't Wear Pink podcast features bold and pioneering women discussing what feminism means to them, and why it matters. The podcast is inspired by the award winning, Sunday Times bestselling anthology Feminists Don't Wear Pink (and other lies), curated by Scarlett Curtis and in support of charity Girl Up, it is an urgent and empowering collection of new writing from a variety of women – from teenage activists to Hollywood actresses. 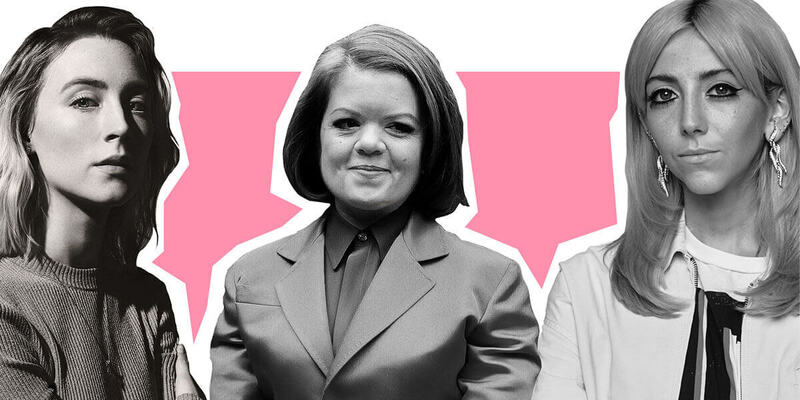 The evening promises a lively hour of frank, honest and unfiltered conversation from three incredible and outspoken women discussing the complexities, the triumphs and the challenges of being a feminist today. Guests will undoubtedly be left in high spirits and with much food for thought. An Evening with Edna - (Dublin: One City, One Book) Spend the evening in the company of Edna O’Brien, author of this year's Dublin: One City, One Book, and one of Ireland's most treasured writers. Edna will be interviewed by writer Colum McCann about her enormous contribution to world literature. She will be joined by singer Moya Brennan and harpist Cormac de Barra, playing some of her favourite music. Selected excerpts from The Country Girls Trilogy will be read by actor Seána Kerslake at this very special event.